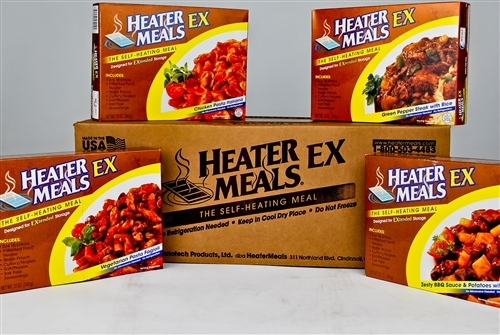 These 9 ounce meals come in a box that serves as the oven to cook the meal in. The box contains the heating element to have a hot meal in 5 minutes. Up to 5 year shelf life.